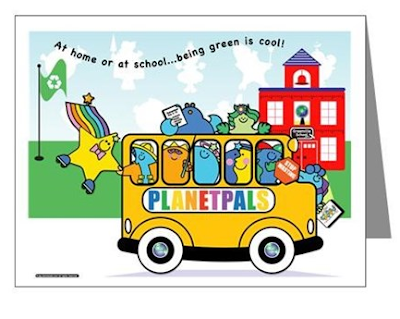 There are so many great ways to have a greener school yearl. 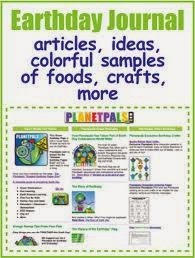 This is Planetpals top ten list of SIMPLE ideas you can implement in your school, in no time, and with no cost! 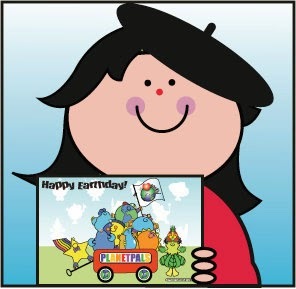 All the while, encouraging GREEN habits, pro-active solutions and teaching the 4 “r’s”. Encourage everyone to use reusable containers to hold their snacks, drinks and lunches - so that no plastic or paper has to be thrown away. This is a great way to REDUCE! Keep a scrap paper box in a convenient location. Encourage everyone to use both sides of the paper. This is a great way to Renew! So many of the items normally bound for the garbage actually make wonderful craft materials. Boxes, tissue paper, string, and plastic bottles are some of the items kids can use to make great projects. This is a great way to recycle! Organize a school supply swap or have a swap box in the classroom for unused school supplies and books. This is a great way to REDUCE! Encourage additional reading! Organize a one-day book swap or have a “free book” bookcase in the classroom.This is a great way to REUSE! 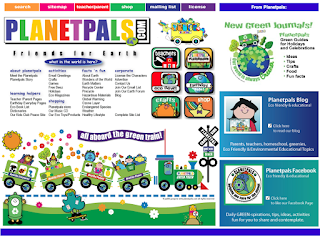 Planetpals ECO PATROL is a great way to encourage kids In school. This is a great project for your class. if your school does not already have a recycling program in place. If your school already recycles, see if your class can improve the current system. This is a great way to RECYCLE! Good for the school good for the environment. Recycle phones and ink cartridges. 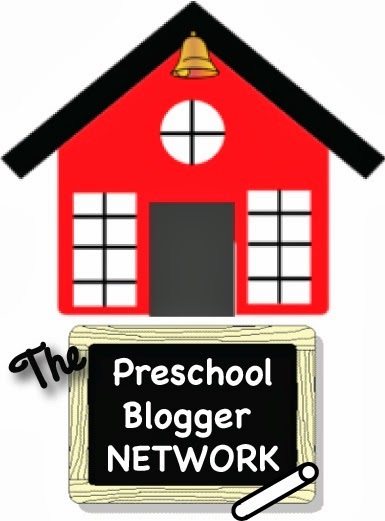 Earn points and money for your classroom. Encourage companies to sponsor your by donating their points. A recycle fundraiser gets everyone involved. This is a great way to RECYCLE! Teach kids to love their surroundings and earn a green thumb. Start seedlings and later plant flowers around the schoolyard. Encourage them to maintain the garden. This is a great way to RENEW! 10. ORGANIZE a “PLANETPALS Day”. Once a month or once a week. 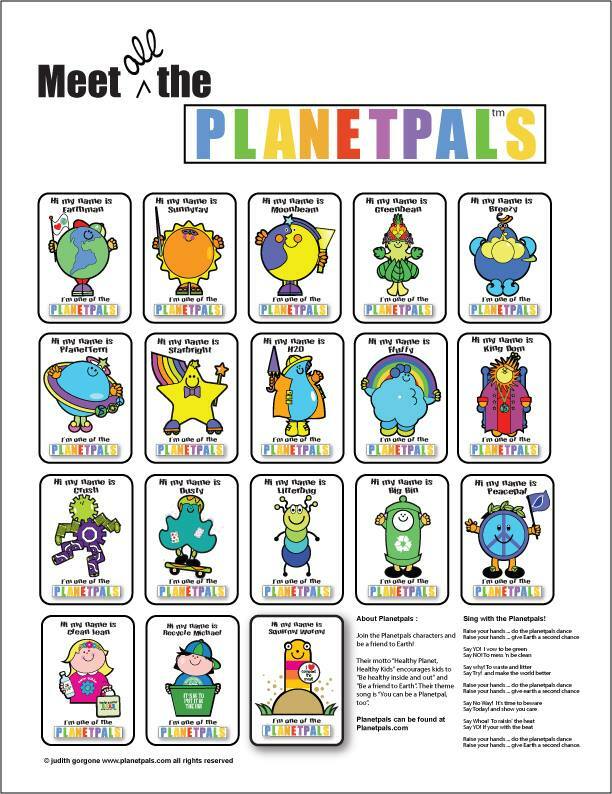 Many schools have a” Planetpals DAY”. 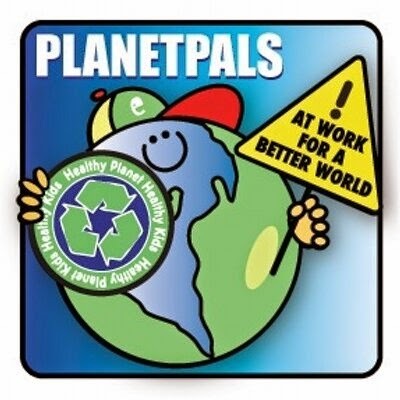 Do Planetpals recycle kits and activities to learn about earth and earth issues and encourage recycling. Why not have a recycle craft on that day! This is a great way to learn ALL the 4 “r’s”! Learn more about being green at Planetpals.com. 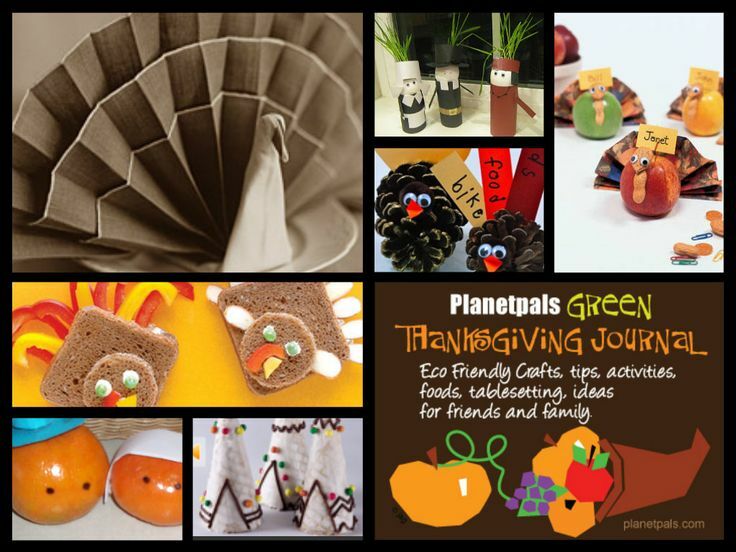 Hundreds of pages of content, info, ideas, crafts and downloads. Teachers Parents Pages, more. National Zero Waste Week takes place week beginning 5th September 2016. 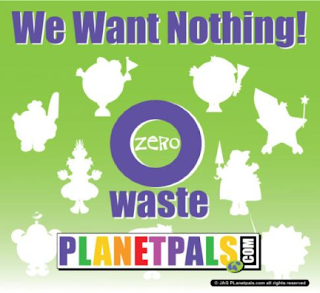 Zero Waste Week is the annual awareness campaign for reducing landfill. Helping you save money and preserve resources since 2008. 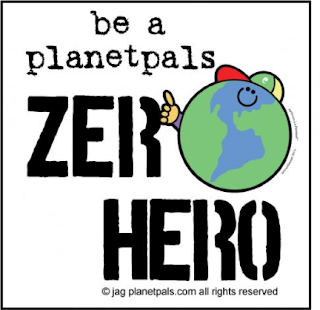 Join Planetpals and become a Zero Hero and do your part! According to myzerowaste.com this year’s theme is ‘One More Thing‘ which reminds us that the collective impact of taking baby steps can add up to significant change. You can learn a lot about zero waste on planetpals.com and planetpalsblog.com. 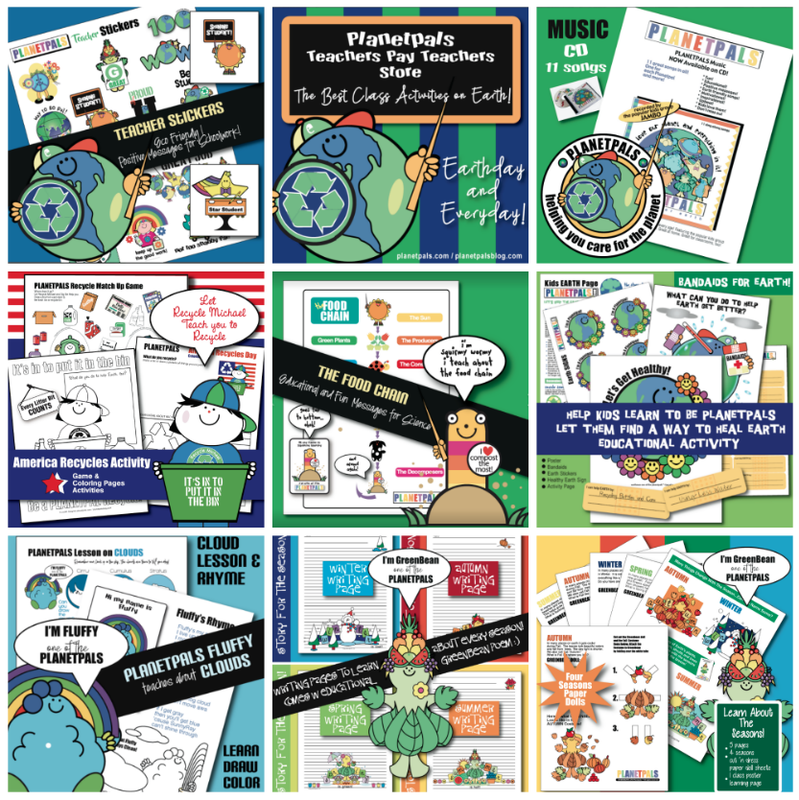 For 15 years Planetpals has offered proactive solutions to the environment for the whole family, through ideas, tips, activities, education and downloads. We say practice the "r's" and particularly the 5th "R" Refuse. Visit our Recycle Center and learn more! © jag planetpals.com all rights reserved.